MEF contributes each year to this unique opportunity for MHS Sophomores. With additional assistance from the local non-profit organization, “Remembering Americas Heroes” (RAH) and the Evergreen Air and Space Museum, the high school is able to bring local and regional veterans to McMinnville each year. Living History Day connects the MHS Sophomore history curriculum to a real learning opportunity for all of these students. 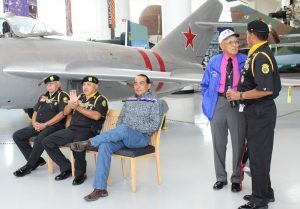 The yearly event has thematic focus and historical emphasis. Local and regional veterans from WWII, Korea, Vietnam, and Gulf Wars participate. Students hear stories and oral histories from the veterans and have the opportunity to ask questions and interact with them. 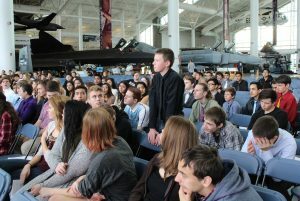 The event talks place at the Evergreen Aviation and Space Museum, which allows the students to see Air Museum, Space Museum and IMAX Theatre.